We need to decide does a woman soldier bring something to the table that a male soldier can’t? Does a male soldier bring something to the table that a woman soldier can’t? And that’s a very uncomfortable conversation to have. 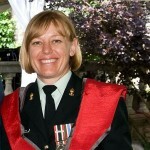 Lieutenant Colonel Anne Reiffenstein was one of the first three women to graduate as an artillery officer. She was the first female major in the combat arms and the first Commanding Officer of a combat arms sub-unit. It’s interesting because, you know, nobody was hostile to me; nobody was angry with me. It was just they didn’t know what to do with me. The wives didn’t know if I should be invited to the Ladies Club, which is essentially comprised of all the wives. It wasn’t that they were unfriendly, they were really uncertain. 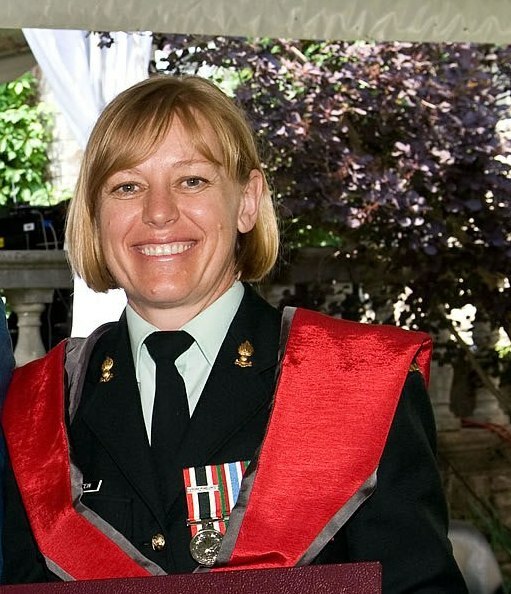 Her experience and success, along with that of her fallen artillery comrade, Captain Nichola Goddard, provides powerful testimony to the contribution that women have made to the Canadian Forces. Why there’s so few in senior leadership roles? Evolution – we grow senior leaders. You grow sergeants, warrant officers, master warrant officers, lieutenant colonels, colonels and generals. It takes 20-25 years to grow people with that experience and skill set and understanding to have the tools to do that. Anne Reiffenstein lives in Ottawa. She is married and has two children.